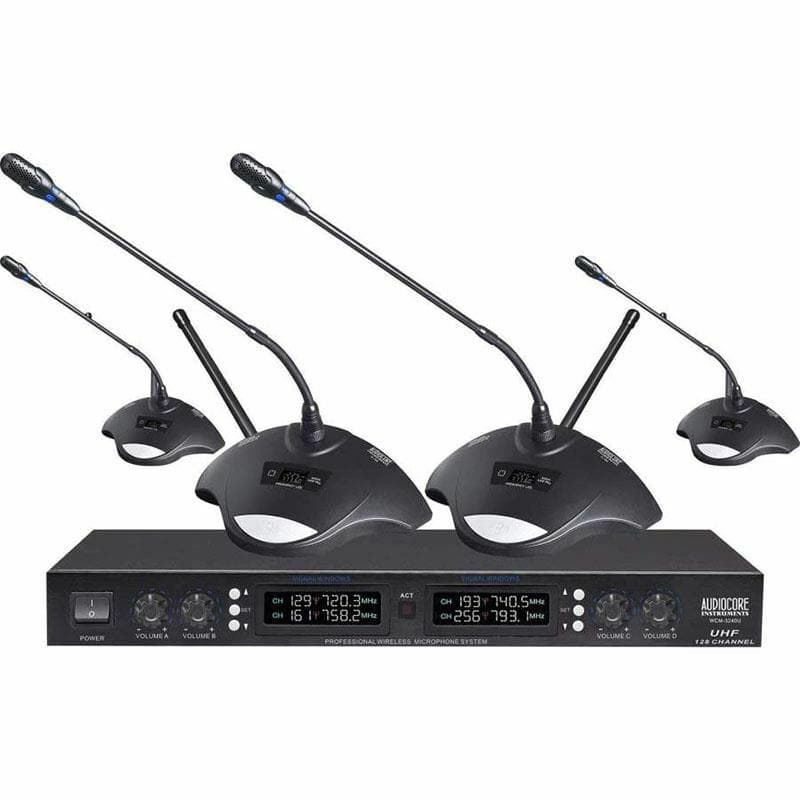 Audiocore WCM-3240U is a conference system with 4 PLL UHF Microphones suitable for high-end meeting requirements. Audiocore WCS-1000 Premium Wireless Conference System with Chairman and Delegate Microphones The WCS-1000 is using a wireless digital technology to process the audio signal and control signal with scientific ID code design and no complicated cables required. Within the signal coverage range, the un..
Samson Concert 277 Dual Handheld - True Diversity UHFDesigned for twice the versatility, the new Concert 277 offers an additional channel and a second professional microphone, increasing your vocal applications by two-fold.The Concert 277 is a dual channel true diversity UHF wireless system that off..
Sennheiser e-902 Microphone - Kick Drums, Bass GuitarThe cardioid e 902 is a dynamic instrument microphone especially designed for deep bass frequency instruments such as kick drums, bass guitar amps and tuba. 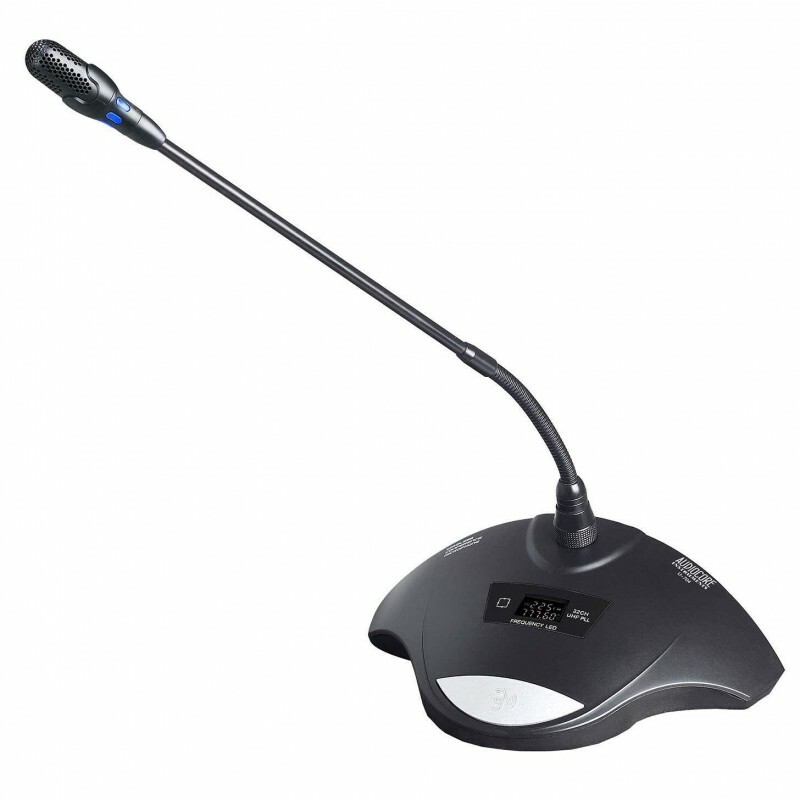 Faithfully reproducing the lowest frequencies and handling the highest SPLs, the e 902 is ..